Roche has signed a major deal to tackle the growing threat of infections resistant to current treatments. The Swiss pharma company has agreed to buy an investigational antibiotic from Polyphor in a deal worth up to 495m Swiss francs (about €400m). The drug, known as POL7080, is in development to treat the Pseudomonas species of bacterial infection, which accounts for one in 10 hospital infections acquired in the US and can lead to such problems as urinary tract infections, respiratory infections, and dermatitis. As with other hospital infections, strains of the Pseudomonas bacteria are increasingly resistant to current treatments, with more than 15 per cent of Pseudomonas aeruginosa strands resistant to at least three classes of antibiotics. Around five per cent are thought to be resistant to five classes. This growing level of antimicrobial resistance is seen as one of the greatest threats to public health, causing governments in both the US and Europe to look at ways to improve the research environment for pharma companies working in the area. 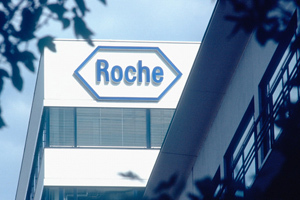 Roche has taken the initiative with POL7080, however, with the deal demonstrating confidence in a drug that is part of a new class of antibiotics and has demonstrated promise in phase I trials. Polyphor will receive an upfront fee of 35m Swiss francs (about €28m) and milestones of up to 465m Swiss francs (about €377m). It will also be entitled to tiered royalties.